Dynamic Group earns distinction through commitment to academic customers. 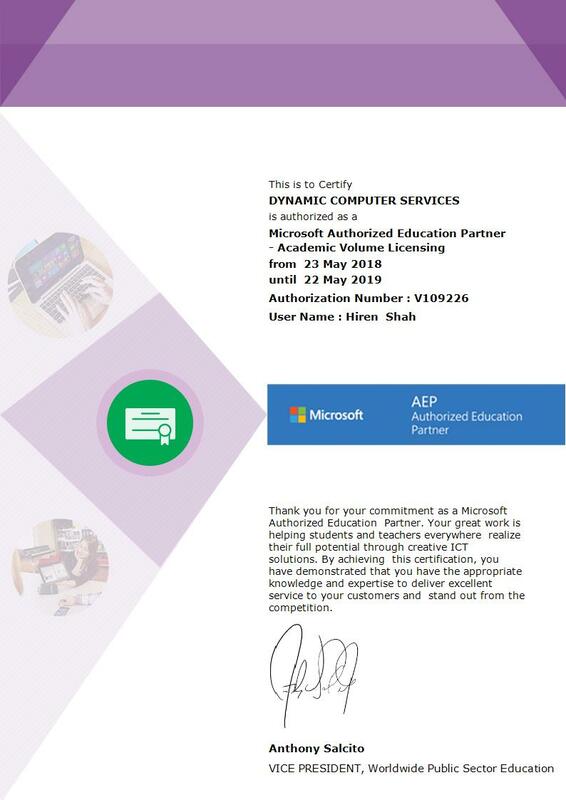 Dynamic Group, today announced it has become a Microsoft Authorized Education Partner (AEP), demonstrating its ability to meet Microsoft academic customers’ evolving needs in today’s dynamic business environment. To earn a Microsoft AEP authorization, partners must complete a test to prove their level of academic licensing and market expertise. Dynamic Group is a pioneer in marketing and supporting some of the world's leading software and hardware. Over the years we have built strategic partnerships with Microsoft, Adobe, IBM, Symantec, Sophos, Red Hat, and many more cutting edge technology solution providers. Dynamic Group is headquartered in Chennai, has a Regional Office in Bangalore, and services customers across the Indian Subcontinent. Founded by Mr. Bhasker Shah in 1982, Dynamic is privately held, and has grown into becoming a brand that is well recognised and respected in the IT industry. With over three decades of quality, reliable service to customers, the company is one of the largest software resellers in India, and is the vendor of choice for many a leading corporate entities and multinationals in India. With a blue chip clientele in diverse businesses like Banking, Financial, Manufacturing, Information Technology, Education, etc., Dynamic is considered to be one of the most trusted partners in the IT industry, with a strong reputation of dependability and high standards of business ethics.